You need a lot of gear and equipment if you train BJJ and MMA. There’s boxing gloves, MMA gloves, shin-pads, headgear, groin protectors, rash guards, shorts, skipping ropes, etc. The list is endless. 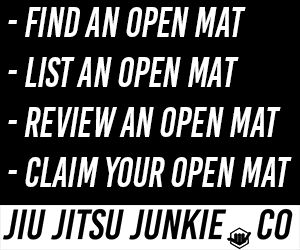 And no-one wants to be that guy who wears his gi to and from class. Even if they do it to save bag space. A lot of the stuff you have to take to and from your academy can also begin to stink quite quickly if it’s just left to fester in a hot, damp gym bag. That’s one of the reasons that you can’t just use any gym bag when you’re training these martial arts. You need extra space to carry all of that stuff around. You need pockets and compartments that are designed specifically to hold certain items. You need the bag to be mesh to allow your gear to breathe. Most ordinary gym bags don’t provide any of these factors, let alone all of them. The only way to go is with a dedicated MMA/BJJ bag if you take these sports seriously in any way. There are plenty of great options on the market and it can make it difficult and daunting for you when deciding which bag is the best to buy. We’ve sifted the wheat from the chaff and compiled a list of the best overall MMA gym bags. You’re best off using a duffel bag sized gym bag. Many companies make backpack style gym bags but you’ll have to keep emptying it and filling it with select, choice equipment that you only need on the day. Now, there’s nothing wrong with that but I feel it’s better for convenience sake to have one place where all of your gear is stored. This bag can hold 70 litres so it’s unlikely that anything will be left behind. The mesh construction allows your gloves, wraps and shinguards to breathe so that neither they nor the bag builds up an odor. This same mesh is tear resistant so it’s incredibly unlikely to have it catch on to something and tear. Sanabul is a company that you can trust to make quality equipment that is both durable and looks good. This bag is no exception. Meister MMA offer two sizes to choose from with this duffel bag; large and extra large. You get the best of both worlds with the large size; able to carry almost everything you might need without overdoing it. But if you routinely travel with your own pads/mitts and other larger pieces of equipment, you’ll find that the extra large is for you. The breathable mesh that is vital with MMA gear bags is present here to keep everything fresh. Though the close-knit mesh is not see through. Important if you value your privacy and don’t want potential thieves to see the contents or quality of your gear. This same mesh also allows the bag to be incredibly light. Gear can be very heavy so you don’t want a bag that adds even more weight. When empty, the bag literally only weighs just over a pound. There’s never enough pockets with most bags. You could always do with another pocket or designated area to stick you mouth guard case or even slot away your MMA gloves. This bag has you covered. It has a large zipper area at the front that’s big enough for you to store a chest-guard, for you traditional martial artists out there. One of the best features is that there is a designated mesh pocket where for your shoes. Storing shoes in the main compartment is always awkward as you try to store them in a way to avoid the soles touching anything else. So this side pocket is a welcome addition to keep the rest of your bag and gear sanitary. Perfect for sticking your wrestling shoes in for easy access. A gym bag is a large piece of equipment so you want it to look good. Everyone else in your gym likely has boring black bags that have no style and don’t stand out in the slightest. But why join the masses? Part of the appeal with this bag from Venum is that you have multiple colour and style options to choose from, and all of them are stunning. You have the black and the black/grey models if you want to be conservative, but if you want to something with a bit more oomph then there’s still more to choose from. There’s a bright crimson model, a black and blood-red bag, a blue camouflage style and even a high-vis neon yellow. Some athletes like to walk or cycle to and from their training sessions, sometimes late in the evening too. So the neon yellow could be a good choice for both safety and looks. The bag features ample storage space for you all gear and many pockets for your smaller pieces so you can grab them in a pinch. Like the other bags on our list, it’s made with a breathable mesh to prevent both stink and general bad hygiene. I’ve already stated how you kind of need a duffel bag size in order to carry everything you require. But obviously the size and shape and the fact you have to carry it by your side or by balancing it over your shoulders can be uncomfortable and annoying. But with this bag from Sanabul, you can have your cake and eat it. You get the duffel bag size and shape to easily carry your gi and your gloves, etc. but the bag itself can easily be worn like a backpack. If you prefer to carry it like a duffel bag, you can with the sturdy holding straps and locks, but if you find it easy to bear the weight on your back rather than your hands, you can use it like a backpack with the retractable straps; if you don’t need those straps, you can tuck them away in the handy sleeve on the back/base. This is the bag to go for if you value versatility as well as accessibility. If you don’t already own a MMA gear bag then you are making your life much harder than it needs to be. Having to sort out all of your training tools, look at your class timetable to determine exactly what you need, turning up to said class and finding out you needed your shin pads can be extremely frustrating. It’s much better to carry everything you could possibly need just in case. That way you’re always covered for any training possibility.